ViaBTC’s transaction accelerator is a FREE service for the Bitcoin community to accelerate the BTC transactions. It also runs paid services for accelerating Bitcoin transactions in case of emergencies, experiments or genuine low fee problems. There is no need of sign-up for using this accelerator. 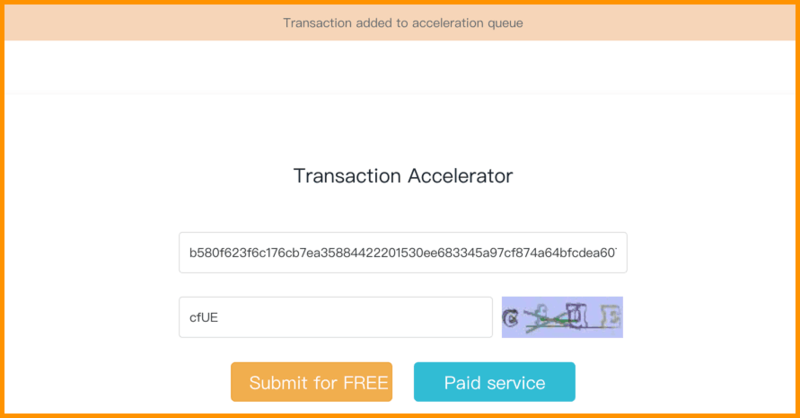 And to use this accelerator you need to submit any TXID of the delayed transactions that at least include a fee of 0.0001BTC/KB. 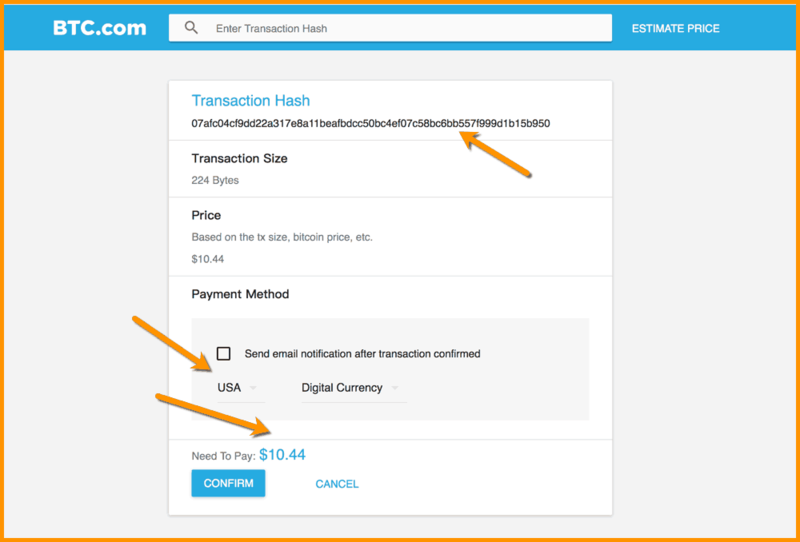 The ViaBTC mining pool doesn’t entertain transaction fees lower than this. Also, ViaBTC supports the acceleration of 100 FREE transactions per hour exceeding which you need to use their paid service. 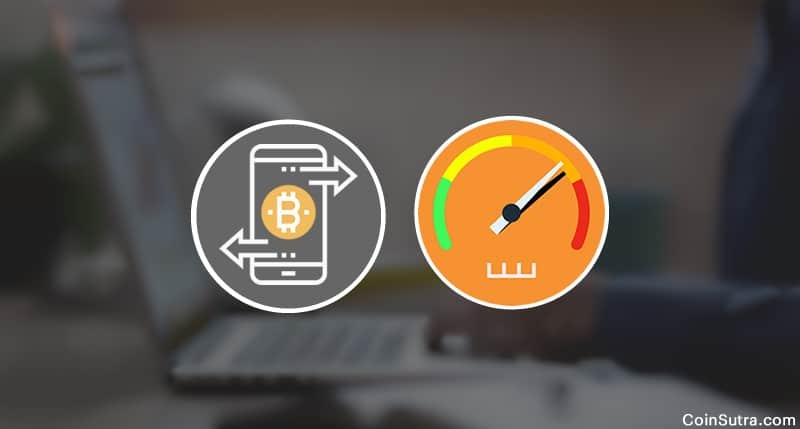 BTC.com provides the service of Bitcoin transaction acceleration in cooperation with other mining pools. The fee structure was quite high in December 2017 but in general, the fee revolves around $5-$10. Through this service, one can increase the probability of confirming their transaction within 1 hour to 75% and within 4 hours to 98%. If the transaction isn’t confirmed in 12hrs, the total fee will be refunded. But this policy is not applicable to the transactions which are removed or double-spent during the acceleration process. Here, you can see the fee estimations for a TXID that I have put for which the payment can be done in fiat or digital currencies.